Jigs Connect LEDs in Psychedelic NeoPixel Cube Prototype #3DThursday #3DPrinting « Adafruit Industries – Makers, hackers, artists, designers and engineers! 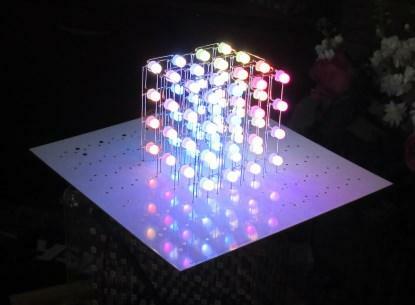 Steve’s original 8x8x8 cube was based on regular tri-colored LEDs, which had to be time-sliced (multiplexed) in order to control them, thereby reducing their brightness. Since that time, we’ve both been experimenting with WS2812-based component. If you like NeoPixel strips you’ll luv these 8mm diffused through-hole NeoPixels. All the single-pin-controlling-hundreds-of-LEDs goodness in a breadboard friendly format. 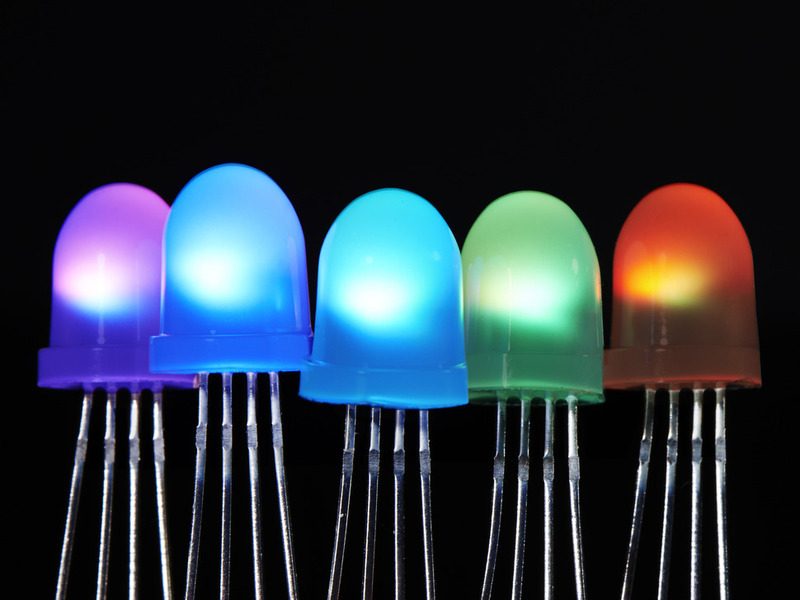 Each LED looks just like your classic through-hole 8mm RGB LED with 4 legs, but instead of just red/green/blue there’s a little chip inside that can control the LED with high speed PWM for 24-bit color.